This year marks the 50th anniversary of the Fair Housing Act. The Ann Arbor Area Board of REALTORS® will be highlighting Fair Housing initiatives through April. The Board is proud to support the Fair Housing Center of Southeast and Mid-Michigan's "Fair Housing Five" book project. AAABoR has contributed $2,200 to allow the Fair Housing Center of Southeast and Mid-Michigan to distribute one hardcover copy of "The Fair Housing Five" to every elementary school in Washtenaw County. "The Fair Housing Five" is an illustrated children's book (in English and Spanish) about kids who take action in their neighborhood in response to a landlord who is discriminating. It is a book designed to initiate conversations between parents, caregivers, teachers and children about housing discrimination, systemic inequality, and the important role that we all have in ending both. 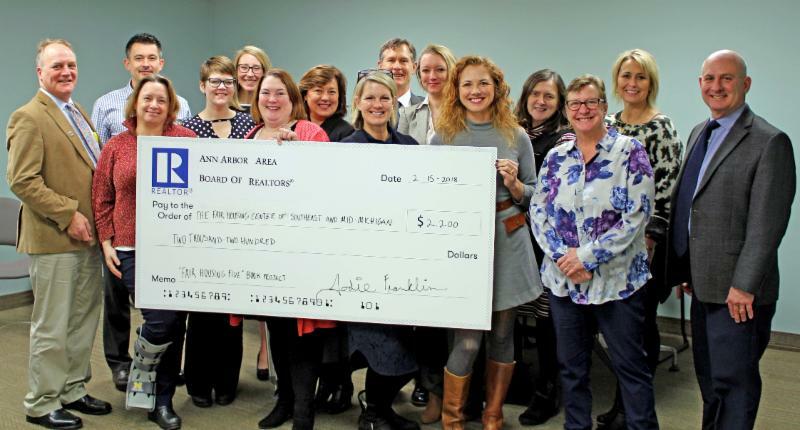 As part of this grant collaboration, the Ann Arbor Area Board of REALTORS® name and logo will be printed on a sticker/label inside each book. AAABoR will also be mentioned in a specific press release about the project as well as in our print materials, website and social media outlets. The Fair Housing Center of Southeast and Mid-Michigan's annual Fair Housing Breakfast is Thursday, March 29, 2018 from 8:30 - 10:30 am at Weber's Hotel in Ann Arbor. Richard Rothstein, research associate of the Economic Policy Institute and a fellow at the Thurgood Marshall Institute of the NAACP Legal Defense Fund, will be the guest speaker. Tickets are available now. Learn more about the Fair Housing Center of Southeast and Mid-Michigan.